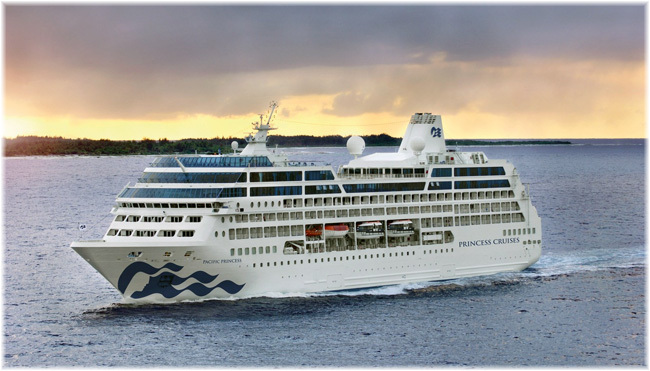 In 2020, Princess Cruises guests will enjoy the welcoming spirit and idyllic islands of French Polynesia when the cruise line returns to Tahiti with the intimate Pacific Princess, offering a series of roundtrip cruises for the first time since 2015. Tahiti and French Polynesia cruises open for sale on April 17, 2019. Guests will discover a trove of unspoiled treasures with sparkling lagoons and white-sand beaches available on five, 10-day Tahiti & French Polynesia departures, sailing roundtrip from Tahiti (Papeete). Every voyage includes overnight calls in Tahiti’s capital Papeete and romantic Bora Bora, as well as a late-night stay in Raiatea. Additional ports includes Huahine, Rangiroa, and Moorea. Cruise vacations begin Oct. 5, 15, 25 and Nov. 4 and 14, 2020 starting at $1,999. With four Grand Adventure & Crossings itineraries, Pacific Princess also offers longer sailings for guests to experience the Aloha spirit of the Hawaiian Islands or discover the treasures of South America, including Easter Island with its mysterious Moai. A 19- or 29-day Hawaii & Tahiti Grand Adventure cruise departs Vancouver Sept. 16, 2020 and a 25- or 35-day Tahiti, South America & Panama Canal Crossing departs Tahiti on Nov. 14 or 24, 2020.